The U.S. and its allies have not defeated ISIS in Iraq or Syria. ISIS has fixed the attention of the U.S. Anti-ISIS Coalition on the last remaining territorial pocket of its caliphate even as it regroups in other parts of Syria. 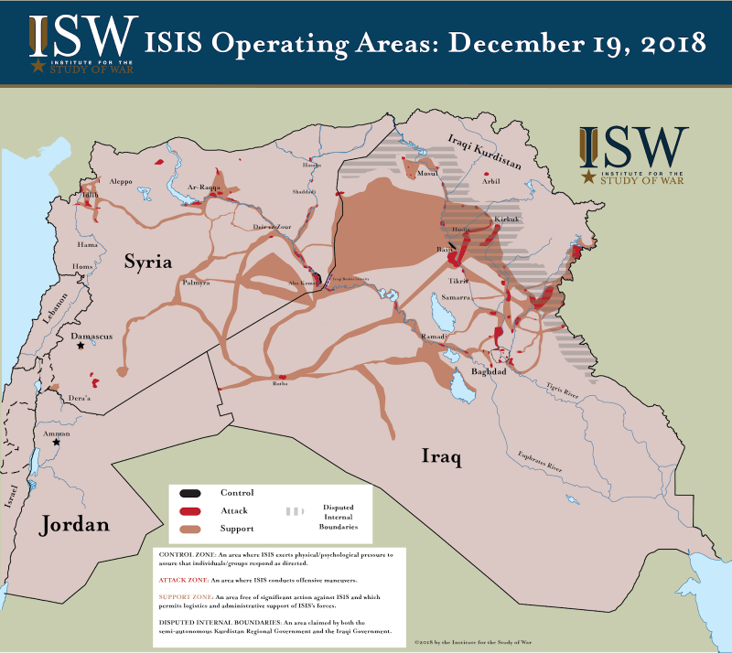 ISIS is also reconstituting in its traditional strongholds in Iraq. Current conditions on the ground do not warrant the withdrawal of the U.S. from Syria. Continue reading this threat assessment on ISW's blog here.